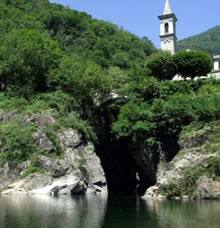 The Sant’Anna ravine is 3 km from where the Cannobino Stream flows into Lake Maggiore. 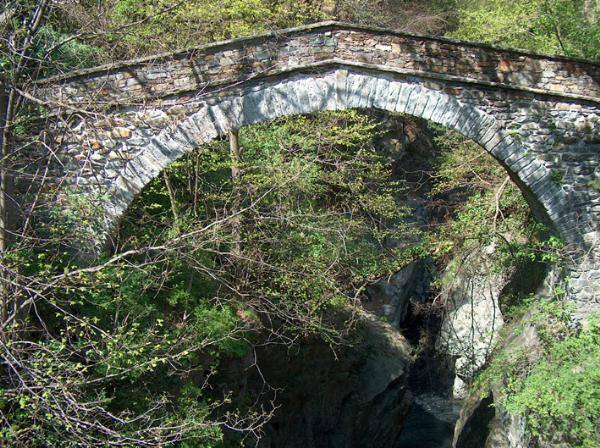 The water has eroded the rocky walls of the surrounding valley over the centuries, thus creating a narrow crack where the raging water flows. 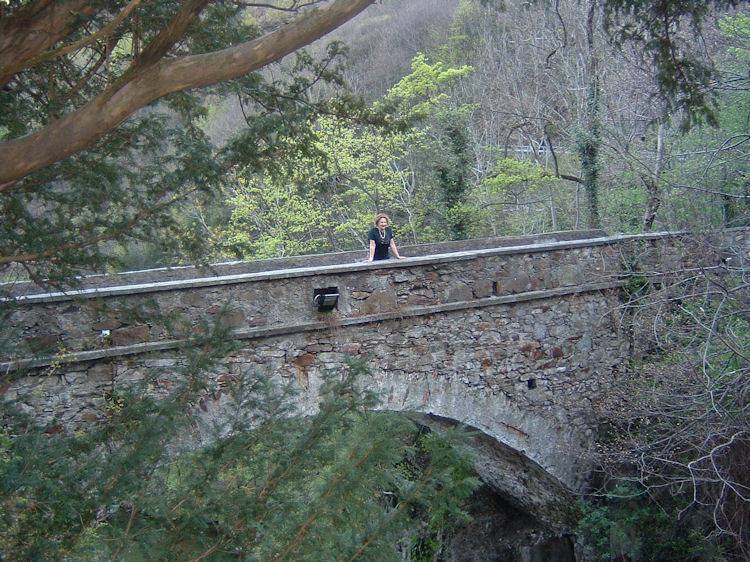 Two bridges cross over it: a medieval one (so-called dell’agostana) only for foot traffic, and a more modern one, which can also be crossed by car. 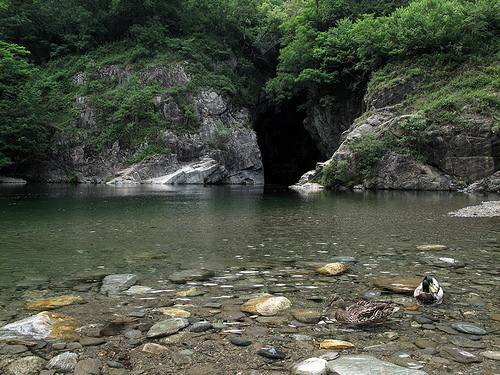 The ravine’s green waters home to the brown trout are rather cold in the summer (15° - 16°) and reach a temperature of 2° - 3° in the winter. 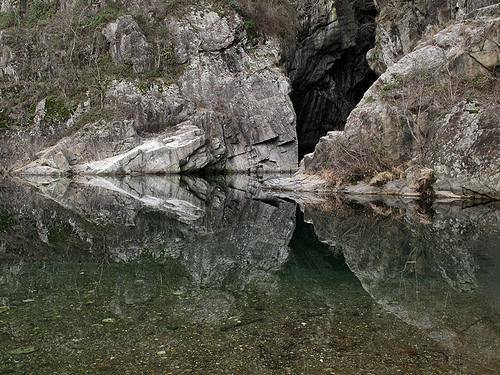 It has a maximum depth of 25 metres. 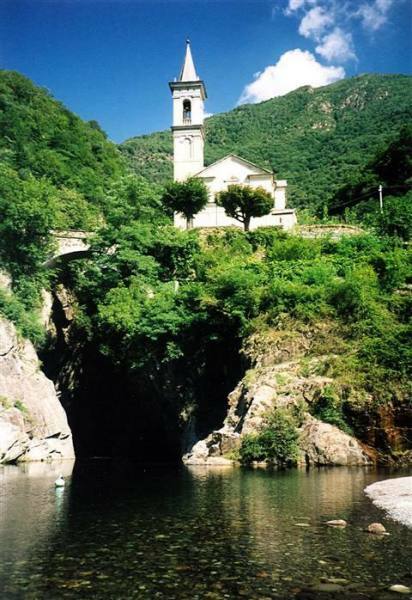 A little church dedicated to Sant’Anna was built not far from the ravine in 1683 presumably on a project by G.A. Crivelli. 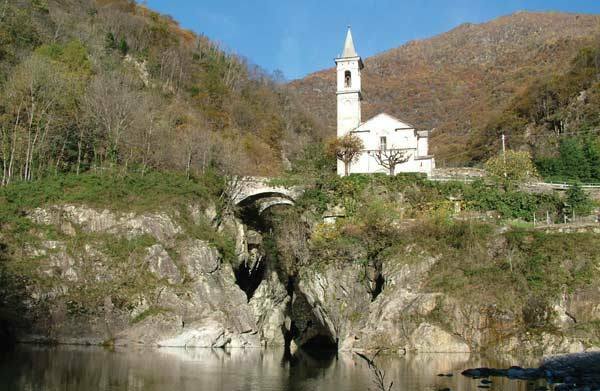 It has an ancient frescoed sacellum dedicated to the Madonna of Loreto, which is the structure’s current apse. Inside, the high altar decorated with black-marble solomonic columns and elegant ornaments is noteworthy. The work was donated to the church by company Terrafiumesi in Rome, a sort of association that united the village’s bricklayers. The scagliola antependiums (the front sections of the altar) are also noteworthy, as is the work by artist C.G. Pancaldi from Ascona dating back to the 18th century. 17th-century altars adorn the side chapels dedicated to saints Anne and Joachim (the one to the right) and to Saint Joseph (the one to the left). 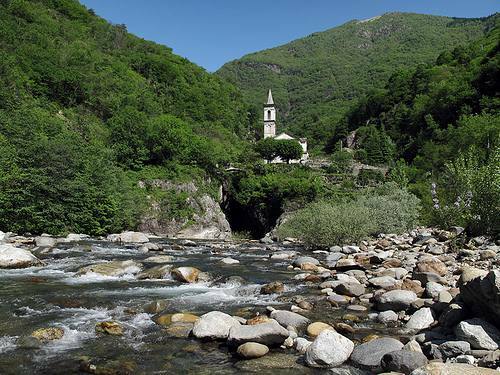 Once you’re in Cannobio, turn left and follow the signs for Valle Cannobina; after less than 1 km, turn right on a road with signs for the ravine. Continue along the valley. After about 1 km, there is a fork in the road; take the road uphill, to the left. Further ahead on the right is a tourist sign and a small road leading down to the outflow of the ravine. There is a car park there. The ravine is very popular for swimmers, divers and enthusiasts - especially on weekends. Its cool waters are a miracle cure against summer mugginess.